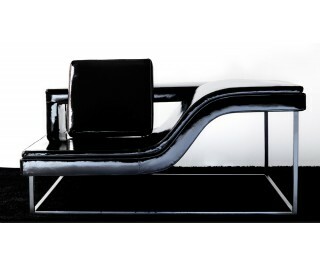 Lounge chair in polyurethane foam upholstered with fabric or leather. Cushions in feather. Frame and base in chrome-plated or lacquered steel.